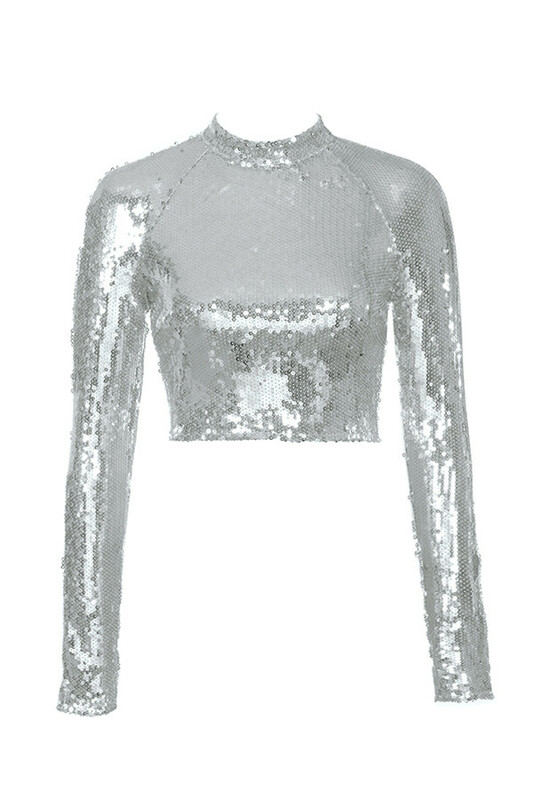 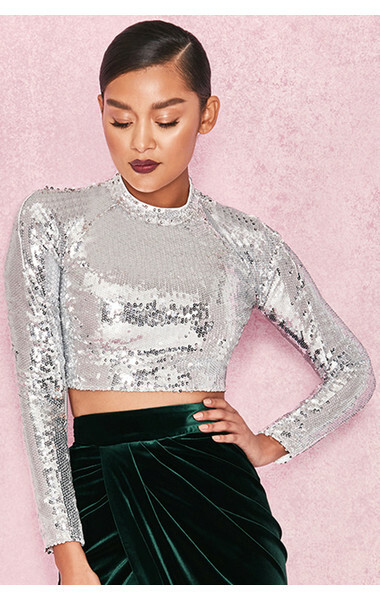 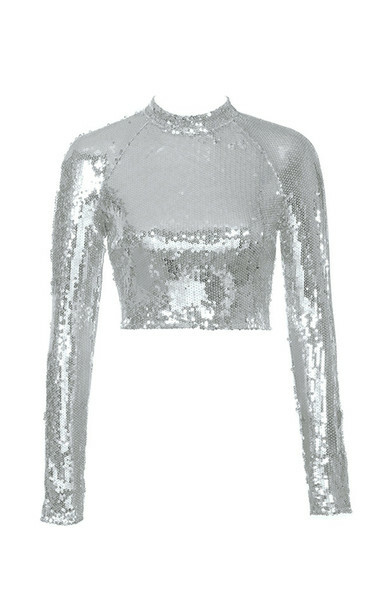 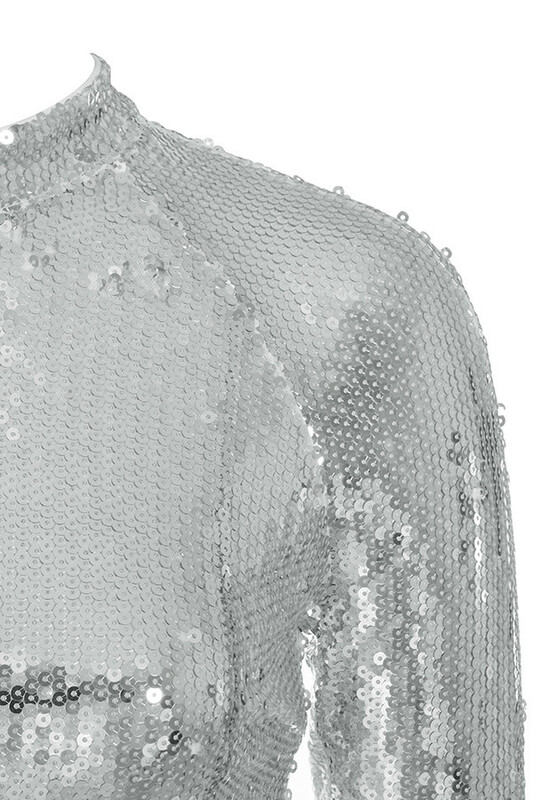 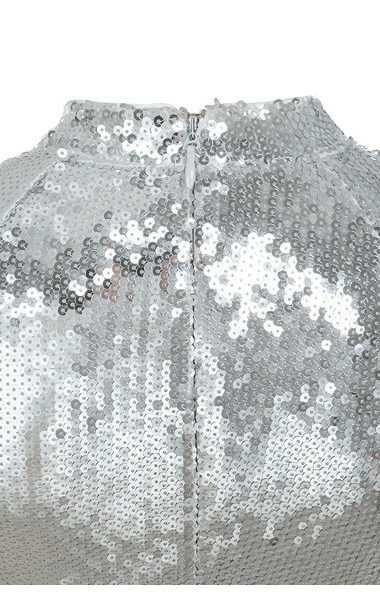 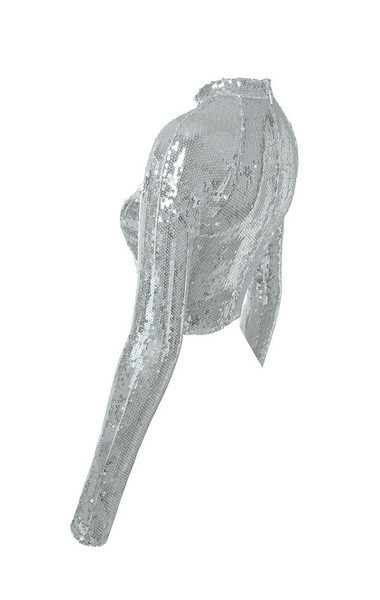 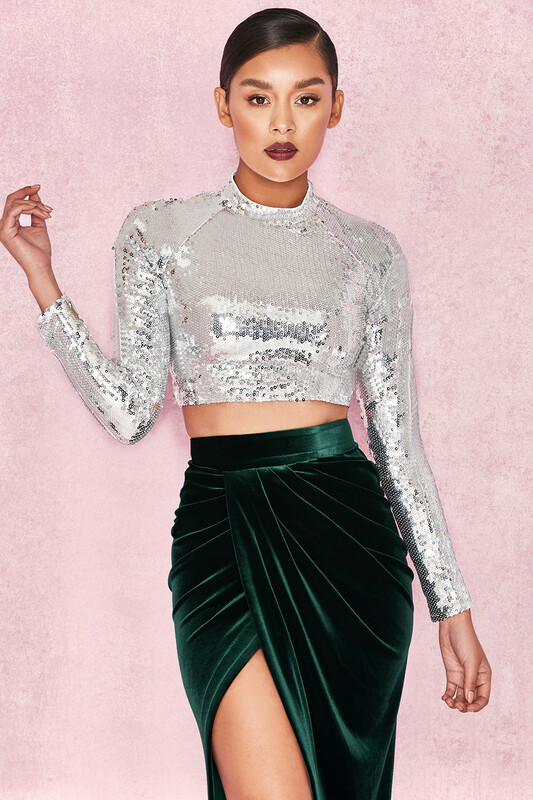 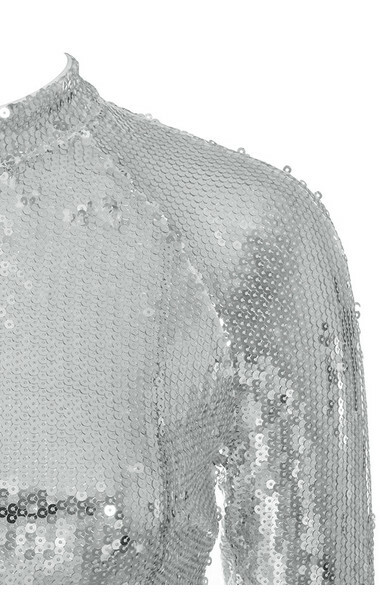 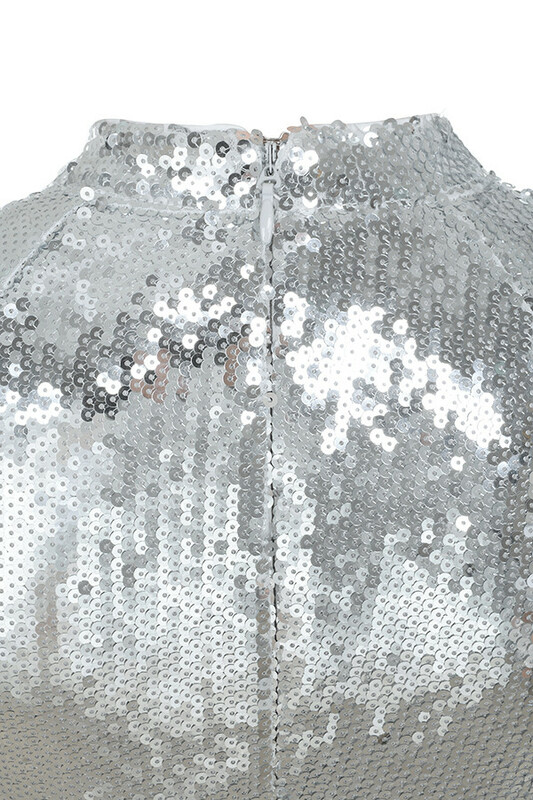 This body skimming top is drenched in silver mirror metallic sequins. 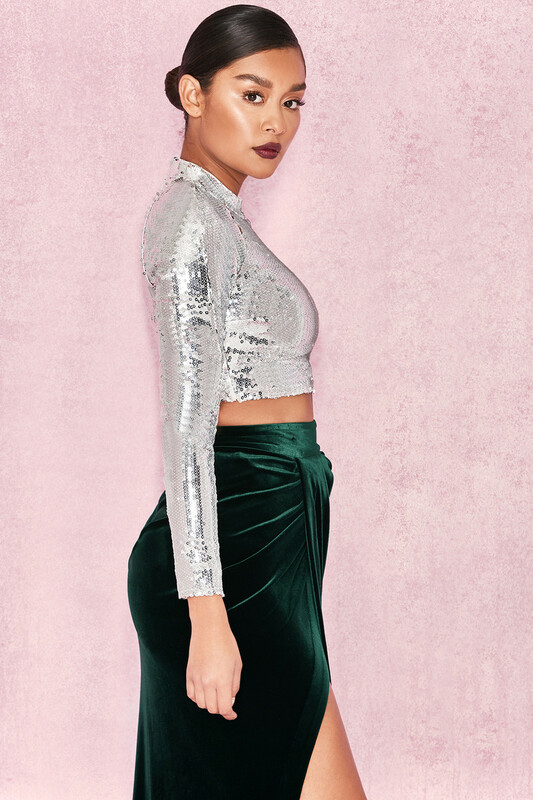 The high neck, long sleeve cut is super flattering and we love this teamed with other luxe fabrics like velvet and silk. 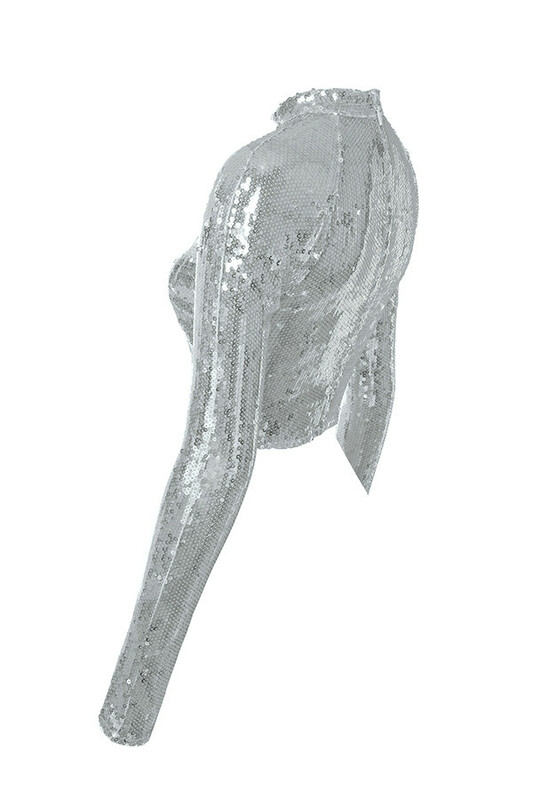 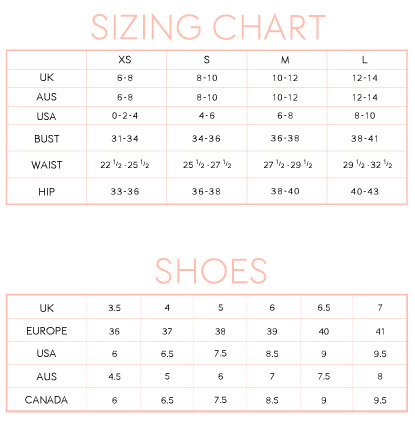 The slightly cropped fit is super flattering and the stretch fabric ensures a glove-like fit. 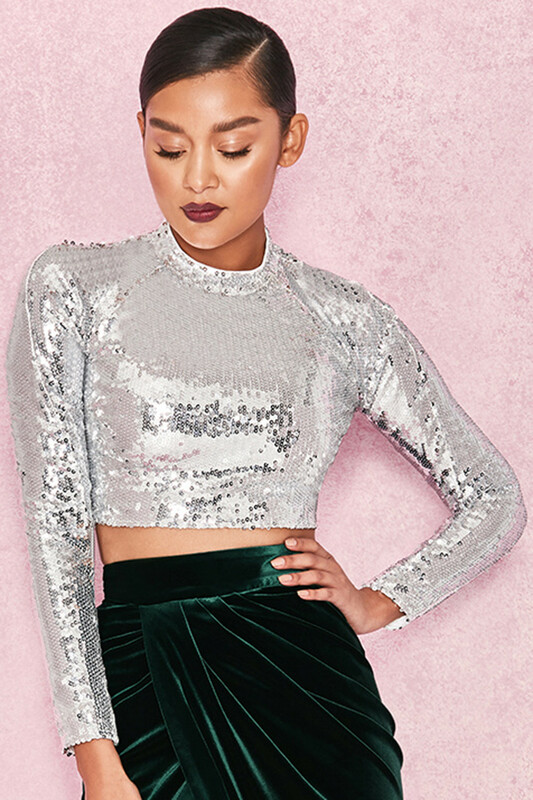 Wear yours with a long velvet skirt as our designers intended. 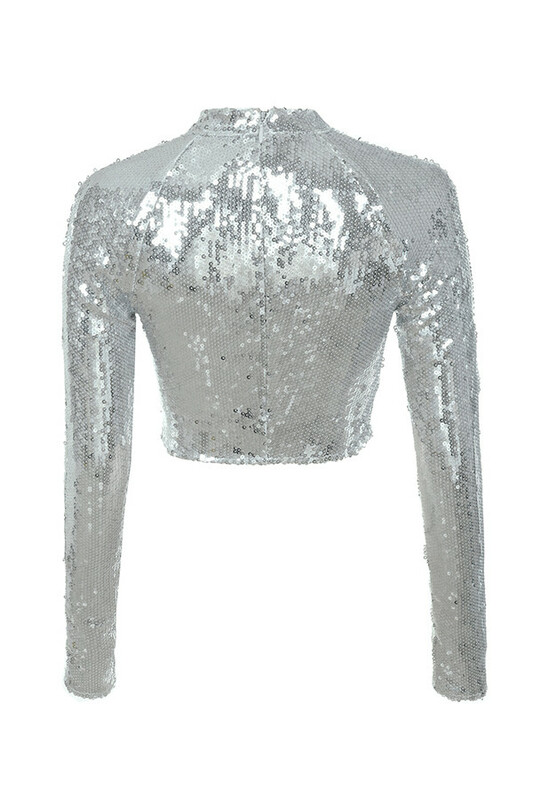 Made from stretch sequin fabric.